Our highway works have hit a major milestone this month with the first surfacing layer going down. The utilities works are almost complete and deliveries of kerbs and paving have been arriving on an almost daily basis. There has continued to be lots of progress at both the Deanery and the Hall and Woodhouse pub/restaurant this month with the exteriors slowly changing colour and lots of progress on the interiors. 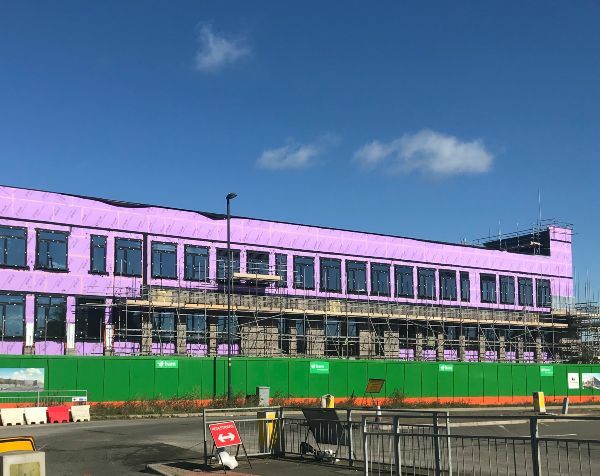 We’ll miss the Deanery being purple as it can be spotted from miles around but the building will look great when the brickwork is complete. The canal towpath has also received its first surfacing and the works to form the banks of the northern section are complete. The towpath will be finished off with resin bonded gravel and there is some lighting and planting to be done but the northern section is looking good. To the south of Foxham Way bridge we have decided that in order to ensure the canal is watertight we need to supplement the natural clay with additional waterproofing measures. We have explored a number of options with our contractor, engineering advisors and the Wilts and Berks Canal Trust and have concluded that a liner is the most appropriate solution. This will unfortunately delay the completion of the works but should ensure the canal is robust for years to come. We have also been working with the Wilts and Berk Canal Trust to explore options for improving the canal in East Wichel and establishing if there is a leak of whether not enough water is being fed into this section. We are currently trying to find a contractor who can carry out some tests and are have also carried out some health checks on the fish in case they need to be moved. Back in Canalside, the footbridge works have started, with the foundations for the approach ramps underway. A few weeks ago we met with our main contractor Knights Brown and their sub-contractor Littlehampton Welding who will be constructing the bridge in their workshop. With different elements being built in different locations we will be producing a number of sample sections to make sure everything fits together before committing to the full construction. The Joint Venture team is up and running and Dan Pavely has been appointed as the Project Director. 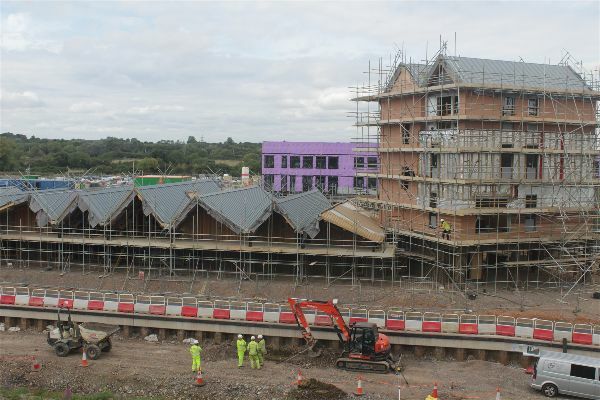 There is a lot of work going on in the background with both the Barratt and David Wilson teams and we will update our website as soon as our plans for the housing are ready to share. Finally, good luck to all of the runners taking part in the half marathon this Sunday. We are delighted to be sponsoring the event again this year and are looking forward to cheering everyone on.